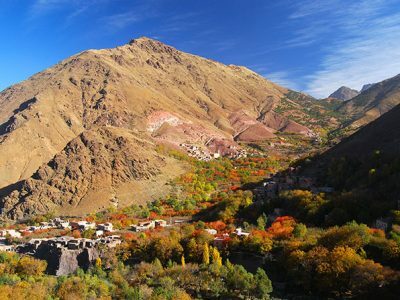 Kasbah du Toubkal is perched on a great rock outcrop above the village of Imlil in the High Atlas mountains. 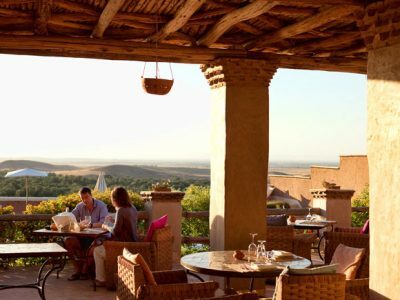 Just 90 minutes from Marrakech, the Kasbah is set within the Toubkal National Park below the towering flanks of Jbel Toubkal, the highest mountain in North Africa. It is a place of outstanding natural beauty, peace and seclusion. 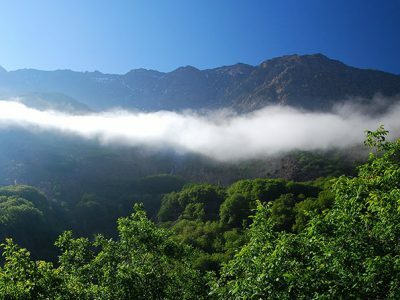 The Kasbah has panoramic views of the mountains, valleys and waterfalls and is reached by a short walk (15 min) or mule ride from the village of Imlil. 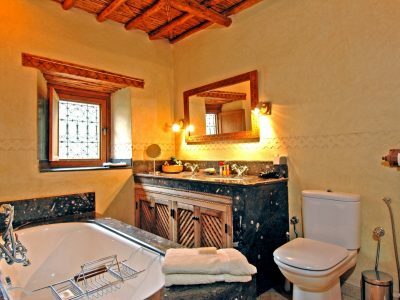 There are daily guided walks and the Kasbah has its own traditional hammam. The hamman is free to be enjoyed after yoga or a walk and is DIY in contrast to the hammam at Tigmi where you are bathed and scrubbed by a therapist. 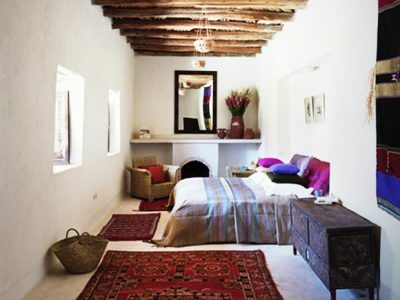 'Tigmi', meaning 'my house' in the local Berber dialect, was built in 1840 for the local judge. As with many North African dwellings, the interior is all; a step inside, and the peaceful beauty of Tigmi is revealed. 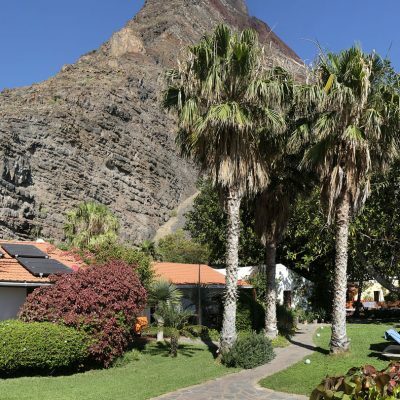 The first impression is of a lovely garden laid to lawns and paths, with banana palms, citrus and olive trees and a swimming pool with soft, jade-coloured water. The scents and colours of orange blossom and roses assail the senses. Fifteen tortoises live in this garden, adding to the unhurried feel of this tranquil oasis. There are two swimming pools, one of which is heated to 26 degrees throughout the year, and one natural unheated and no chlorine. There are sun-loungers around the pool and shaded areas in the gardens, furnished with comfortable divans for those of you who prefer to laze around out of the sun. 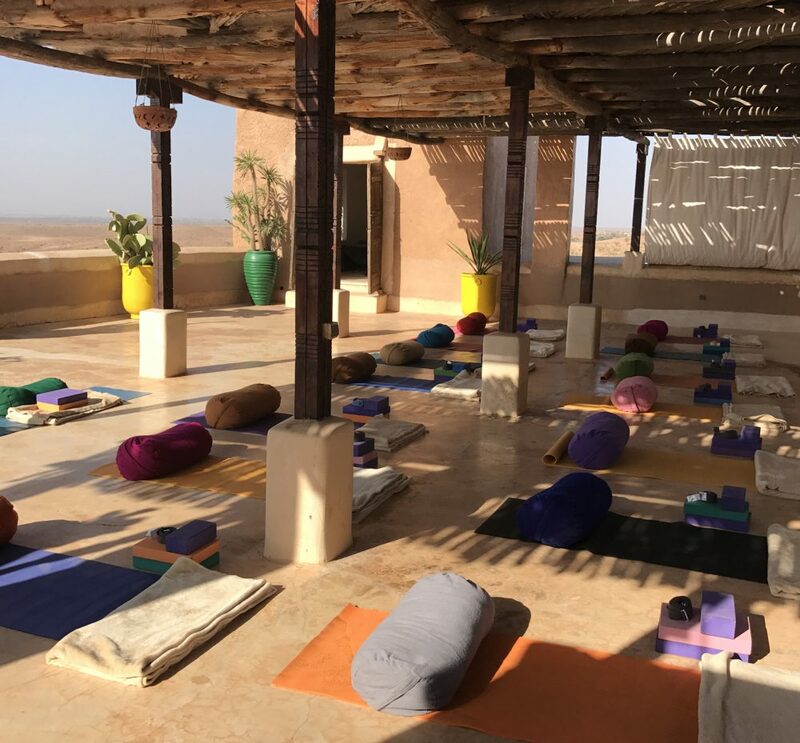 The first three nights (1-4 June) will be spent at the Kasbah, where there will be two yoga classes each day and a guided walk. In the morning there will be a 90 minute practice to include meditation and pranayama this will be followed by breakfast. A guided walk will be on offer each day and and also a gentle yoga session before dinner. 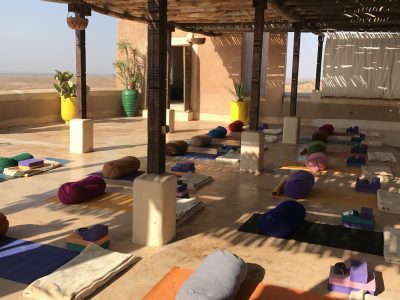 The outside yoga space at the Kasbah takes in the mountain views while enjoying the fresh and pure mountain air. 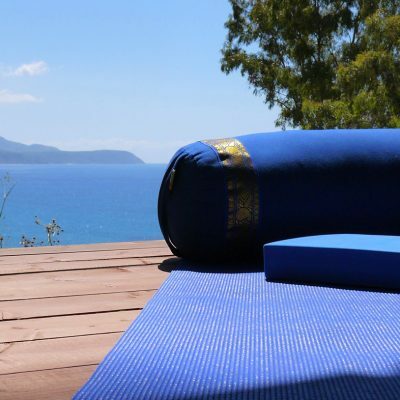 The last four nights (4-8 June) will be at Tigmi where there will be two yoga classes daily with one yoga free day. Each morning there will be a yoga class that includes meditation and pranayama practices. There will be a second yoga class in the afternoon. The classes will be suitable for all levels and experience. 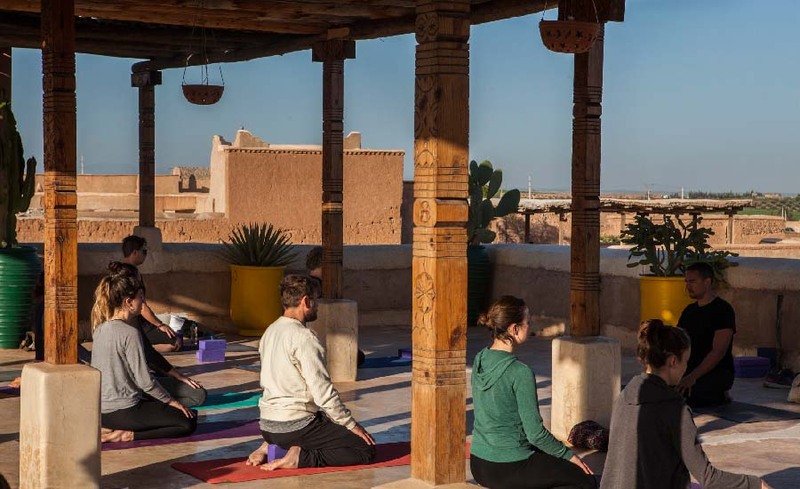 The yoga space is a covered roof terrace with stunning views of Marrakesh across the plains. 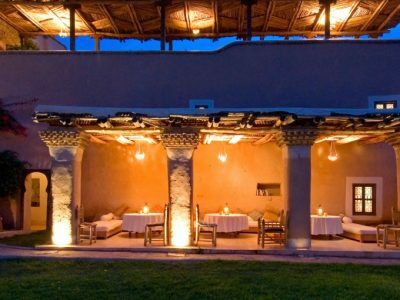 The meals at the Kasbah and Tigmi are all included. There will be a delicious breakfast, lunch and evening meals. 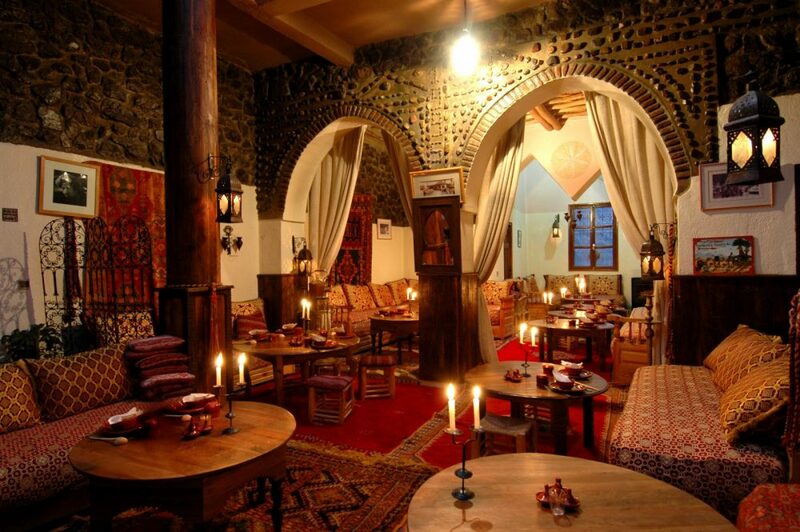 Traditional North African dishes, with wonderful vegetarian meals also prepared on request. 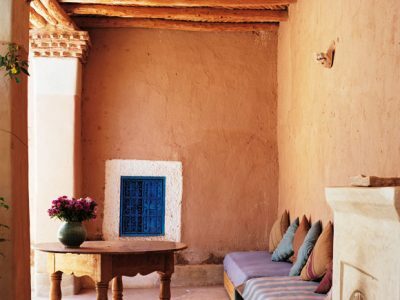 Whilst staying at the Kasbah you can enjoy walking in the Atlas mountains, visiting the village of Imlil or relaxing on a roof terrace with a book in hand enjoying the views. During your stay at Tigmi outside of yoga the rest of the day can be spent lazing Moroccan style - lounging, reading or swimming in one of the two pools, playing backgammon or chess in one of the many gardens and courtyards or popping into Marrakesh on the hotel's free mini-bus service. 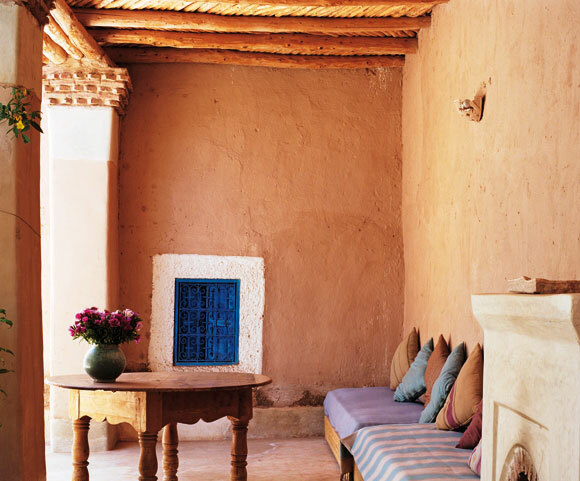 Tigmi and the Kasbah have their own hammam, spa treatments and massage therapists on hand. At Tigmi there are a few bicycles available for the more energetic to explore the local area. 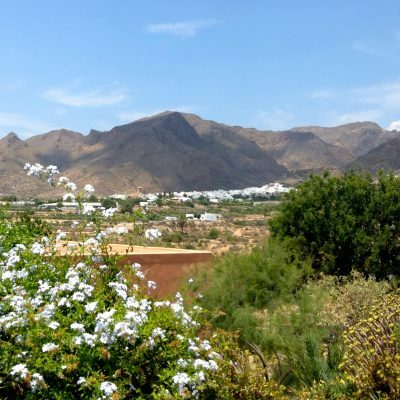 A daily guided walks is included each day while at the Kasbah and for the more adventurous longer treks can be arranged. Outside of Tigmi there are local sporting activities such as horse-riding and golf. Cultural treats are plentiful with mosques, museums, a visit to the famous square Jemaa el Fna with its acrobats, dancers and magicians, the Majorelle Gardens and the grove of 150,000 palm trees at La Palmeraie. A visit to one of the souks in Marrakesh's old city is an art form in itself, with busy market stalls and colourful displays of the traders' wares - local crafts, satins, silks, glittery shoes, leather wares, paintings, spices and food. 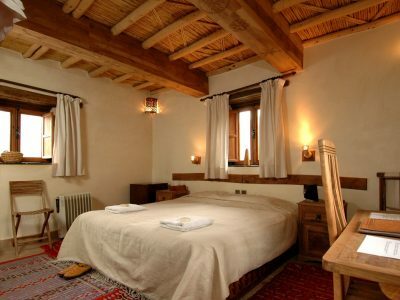 The bedrooms at the Kasbah and Tigmi are authentically Moroccan with generous, comfortable beds, cool sheets, hand-woven covers and cushions and ensuite bathrooms. 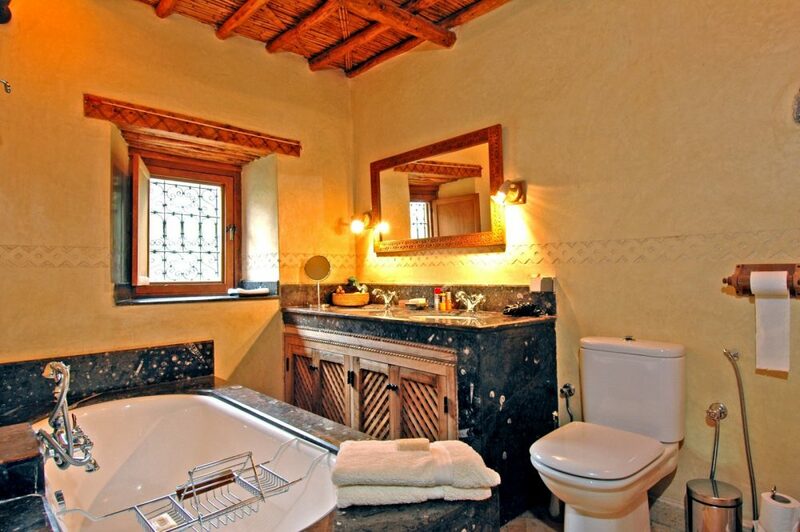 A range of standard, superior and deluxe rooms are available at the Kasbah. 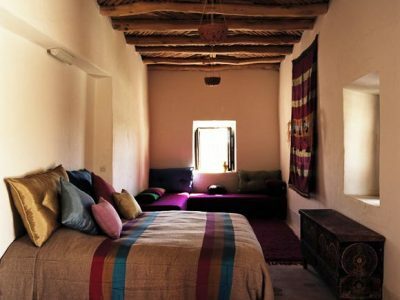 For Tigmi the standard Berber rooms are offered but suites are available on request and the supplement is payable locally. 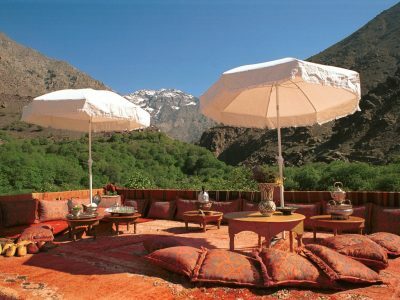 Just back from the retreat at Kasbah du Toubkal and Tigmi last week and I am raving about this yoga week to my friends. 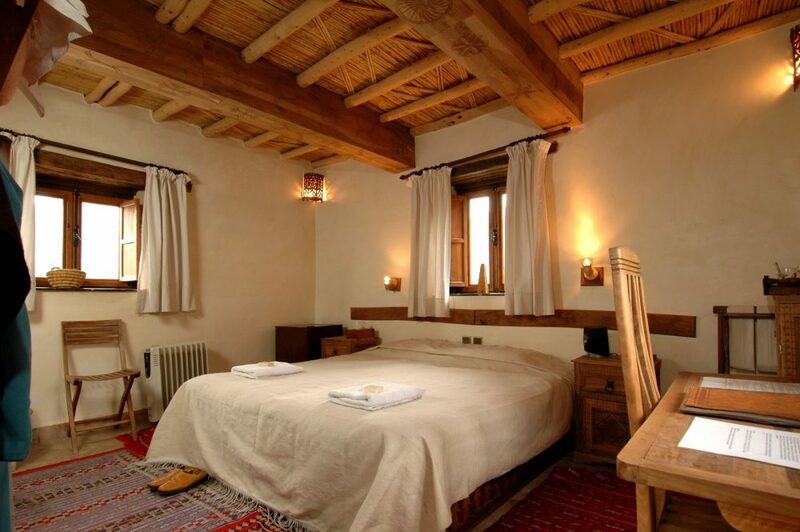 The combination of three nights at Toubkal followed by four nights at Tigmi is perfect. I cannot say which location I preferred, both were perfect in their own way. 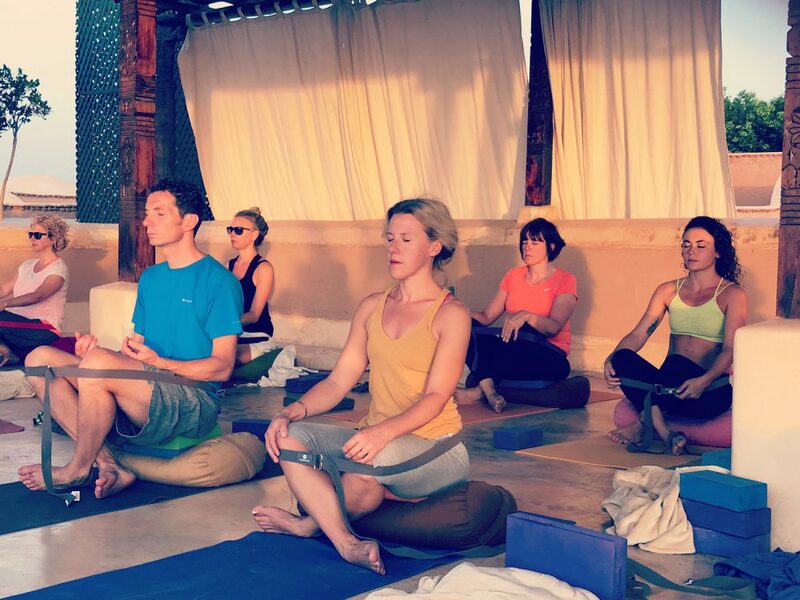 That was a beautiful holiday, the yoga with Lisa was wonderful, as usual, but also what made it so special was the mix of people, they were such a lovely bunch and we all got along famously. I loved it! Thank you also for your organising, always spot on. Wonderful Morocco! I have just returned from a two centre Moroccan holiday. 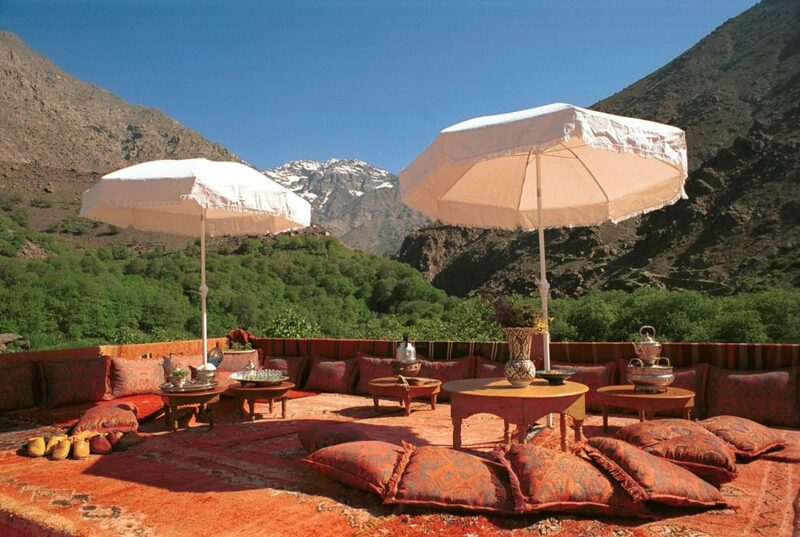 The Atlas Mountains with spectacular views and wonderful Berber hospitality. The Kasbah was a gem. Then we moved to the open plains near Marrakech. 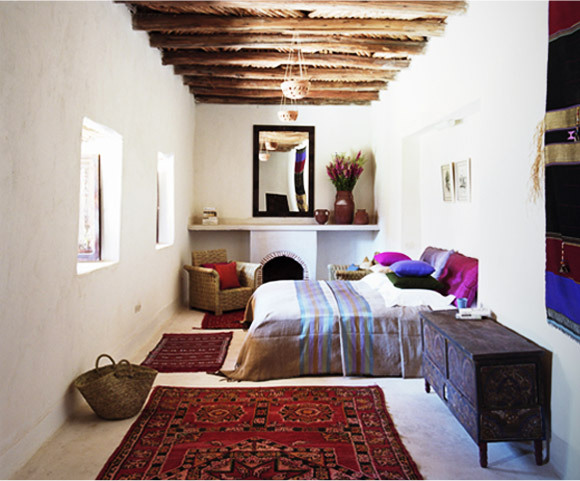 Tigmi offered a refined Moroccan experience, a lovely boutique hotel. So many lovely spaces around the hotel to relax and chill. The food in both places was terrific so important on a yoga holiday. 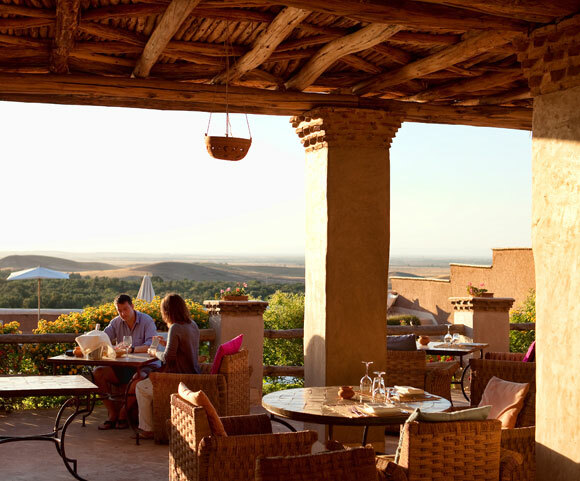 From the rural rustic dishes in the Kasbah to the more refined Moroccan / Mediterranean influenced cooking at Tigmi. I had the most wonderful time at Tigmi. I think its safe to say that we all enjoyed our stay very much. Wonderful people who will remain good friends. 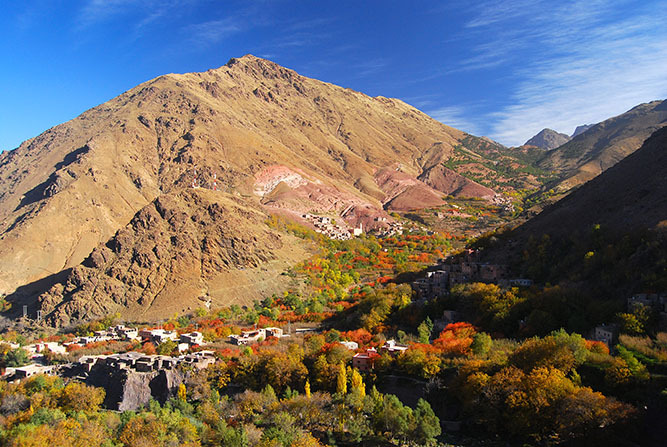 Tigmi was an oasis of calm and the most beautiful setting in that little Berber village, with the Atlas mountains in view. It was such a special tranquil place, I definitely will visit again! 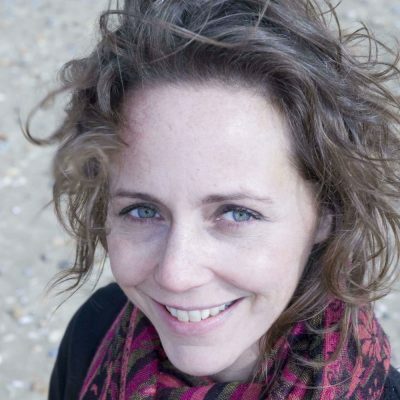 The holiday was made really special by Lisa, our yoga teacher, who has a great personality and exemplary teaching. I felt both physically and mentally recharged. 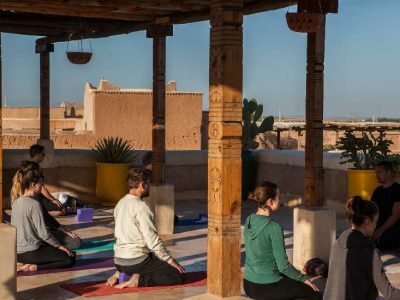 Accommodation, breakfast, lunch, and evening meals at both the Kasbah and Tigmi, two yoga classes per day with one yoga free day or two free yoga afternoons. A free airport transfer is offered on a recommended flight to Marrakesh. Please see 'Travel arrangements' for details. Easyjet, BA and Ryanair fly direct to Marrakesh from London. 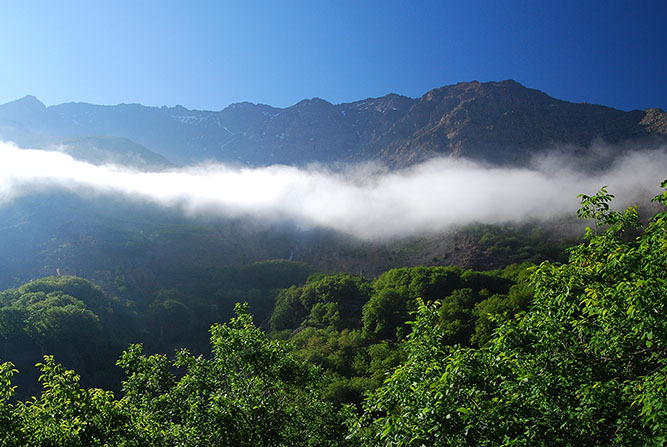 A free airport transfer is offered from Marrakesh airport to Kasbah du Toubkal if you take the recommended flight with Easyjet arriving at 15.40 on 1st June or arrive at a similar time. 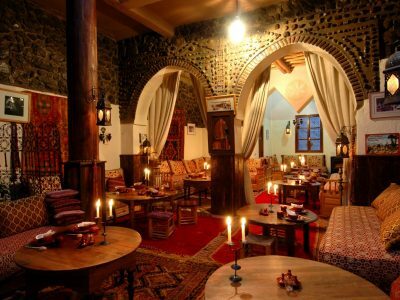 If you take a different flight or transfer independently the cost is £85 to the Kasbah from Marrakesh. The transfer to Tigmi on 4th June is also included. Transfers from Tigmi to the airport at the end of the holiday will be an added cost of 125 Moroccan dirhams each way (approx £10) or 250 Moroccan dirhams each way (approx £20) if transferring alone.